The Speakeasy Rooftop Bar in Bangkok is a “must do” experience for visitors to this incredible city. Located on the 24th and 25th floors of Hotel Muse Bangkok, the stylish venue, which was inspired by the 1920s prohibition bars in America, is renowned as a rooftop bar in Bangkok with an amazing view. 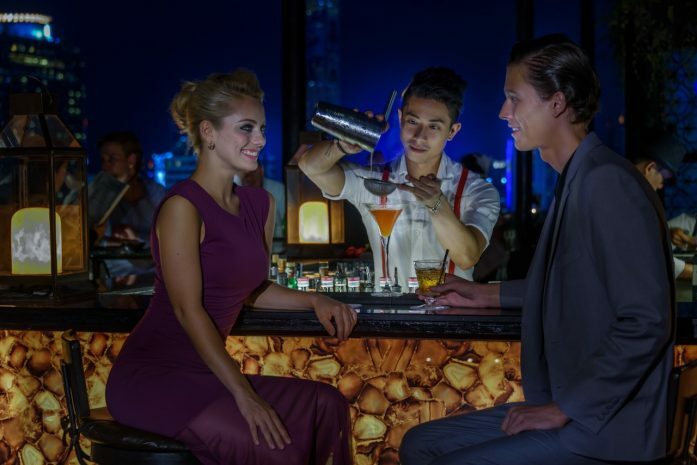 The exclusive and the best Bangkok rooftop bar encompasses The Lawn, Long Bar or Terrace Bar. 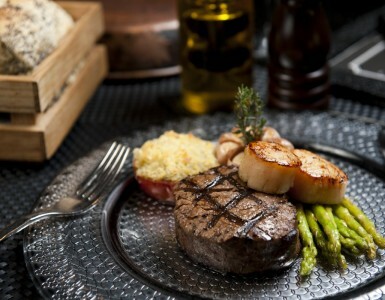 There is also The Blind Pig cigar lounge, and three luxurious private rooms. Each distinctive venue looks out across a glittering cityscape. The Speakeasy Rooftop Bar in Bangkok with an amazing view makes nights in the City of Angles truly unforgettable. In this dramatic setting, guests are transported to a time of glitz and glamour. Each element of this exclusive rooftop bar in Bangkok with an amazing view has been carefully curated to ensure memorable moments. Guests can enjoy Champagne and cocktail promotions, savour gourmet cuisine complemented by the sommelier’s cellar selection of New and Old World wines, as they experience the rooftop bar in Bangkok with the best view. Every night, the crowd at the retro-styled Bangkok rooftop bar with an amazing view moves to the distinctly contemporary sounds of electro beats mixed by a top DJ. Complementing the exquisitely crafted boutique Hotel Muse Bangkok, The Speakeasy is deserving of its reputation as the best Bangkok rooftop bar with an amazing view. Discover The Speakeasy for yourself, Bangkok’s best rooftop bar. Open daily: 6:00 p.m. – 1:00 a.m.